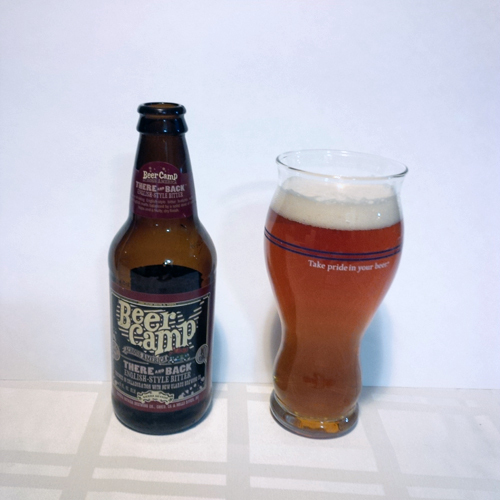 Sierra Nevada/New Glarus – Beer Camp Across America There and Back ESB: A collaboration with New Glarus Brewing this English Style Bitter was brewed at a strength of 5.6% abv and 40 IBUs. Apparently this breweries beer is next to impossible to get outside of Wisconsin, so unless I trade it seems that Beer Camp is the only exposure to this brewery that I will have unless I find another collaboration beer. Aroma and Appearance: This pours a clear copper with one finger of foam and a medium level of carbonation. The aroma is toffee, stone fruits, tangerine and overall somewhat floral. Flavour: It starts with a bit of toffee, bread malt in the middle and finishes with some nuts and earthy bitterness. Overall Impression: Simple, yet in it’s simplicity it shines. Rating: Very good at 7/10, well executed to style and tasty. Food Pairing: English style bangers and gravy.